Treat the Sweetest People in Your Life with Indulgent Confections Artisan Gourmet Treats. World Trader Coffee is always focused on helping the environment and we are proud to offer Organically Grown Coffees as a way to support those who grow these products. Shade Grown coffees are often thought to taste better having more robust and complex flavors. Caribbean coffee is some of our finest Arabica beans. World Trader Coffee is proud to offer healthy options that also help the environment. 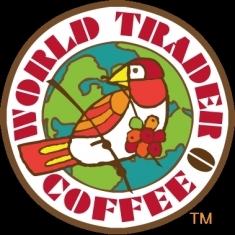 World Trader Coffee is proud to present several kinds of organically grown, premium arabica coffees. World Trader Coffee is well-known for its single origin coffees, but we are also very proud to offer eight premium coffee blends. Shade grown coffees in particularly delicious because they take longer to ripen than if their beans were grown in the sun. Dr. Oz, one of the doctors most famous for advocating healthier living, recently featured Garcinia Cambogia on his show, “The Dr. Oz Show”, after he learned of the work Dr. Julie Chen did with the Indian fruit. Researchers have recently found a way to take the ingredient in raspberries that give them their smell and turn it into a little pill with the same effect as eating 90 pounds of raspberries. Franchising is the easiest and most practical way of starting your own business that is why it is a boom in the Philippines. Global Water Technologies targets site for pilot project in "living laboratory"
LiveWire Ergogenics, Inc. has joined LinkMyStock.com.